National Day tickets have always been free. You ballot for them, you get them, and you attend either the preview or the mega celebration on August 9. That is, until some opportunists decided to make a quick buck and sell tickets online. It’s the Golden Jubilee celebrations this year, so demand is going to be high for these tickets. 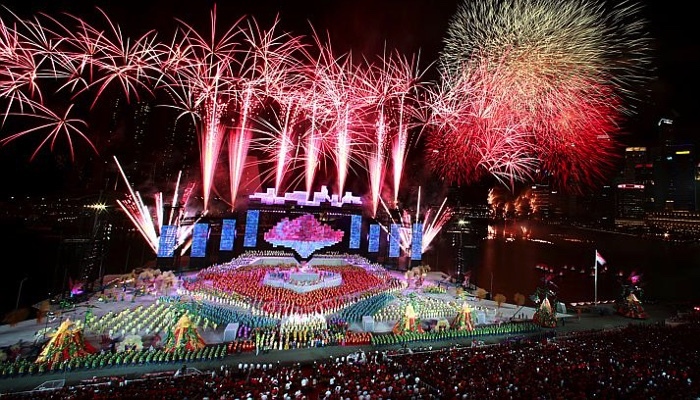 Expect to have the largest fireworks display, a vintage parade, and special aerial displays by the Republic of Singapore Air Force — it’s going to be THE parade to watch, whether you’re an avid parade-watcher or not. So what does one sneaky money-making bugger do? Raise the prices of the tickets, of course. These year’s National Day parade tickets were put up for sale on Carousell by user “kox koh” at 12pm on Sunday, and they include both preview and actual day tickets. They’re not cheap, too: they go for anywhere between $200 to $400. 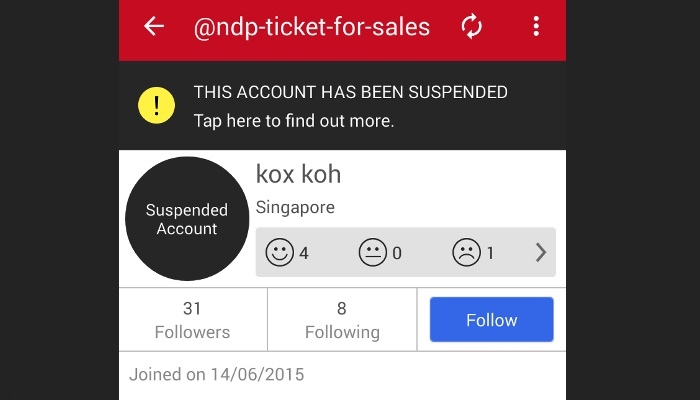 His account has since been suspended after his actions were reported by other Carousell users. How he got hold of so many tickets is highly questionable. The sale of NDP tickets — for both the preview and the actual day — are strictly prohibited, but it’s not the first time NDP tickets have been put on sale illicitly. 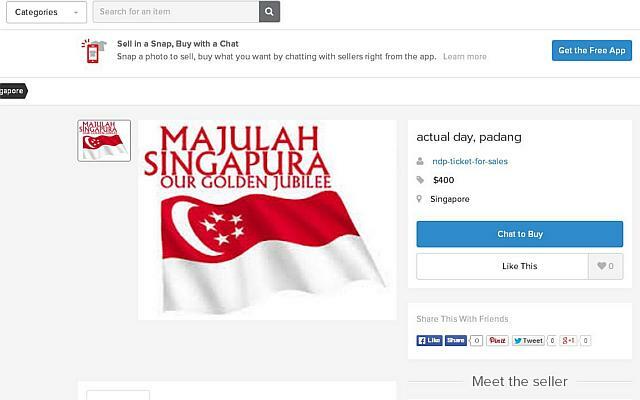 The recent SEA Games also saw tickets being resold for ridiculous prices online. “Unauthorized resale of tickets is also included on Carousell’s list of prohibited items, under item 23. Carousell’s community guidelines are in place to ensure a safe, friendly, and conducive environment for all. Our team will remain vigilant and remove any new listings that may be added to the marketplace. Should users come across such listings again, we would like to encourage them to alert our team by reporting the listings or by sending us an email at support[at]carousell[dot]com,” they added. Admittedly, Carousell is a great platform to get tickets and vouchers, with some less dodgy deals like entry passes to Universal Studios Singapore, the Zoo, and even Legoland all the way in Malaysia. With recent cases of tickets getting resold online illegally, however, it remains to be seen how the online marketplace will try to clamp down on future incidents.